It is hard to imagine that till the 1990’s this piece of land was untouched and consisted of a rocky shoreline and dunes covered by natural vegetation, as the rest of St Francis only six decades earlier. The establishment of Port St Francis can directly be attributed to the growth of the chokka or squid industry. When this “white gold” was discovered in our waters in the early 1980’s, the first pioneers flocked to St Francis Bay with their hand lines, jigs and open ski boats. The fleet worked from the northern base of the Kromme River, going to sea and returning on a daily basis. As the industry grew so did the boats and soon deck boats with crew cabins were used, so they could stay at sea to fish over longer periods. The first freezer vessel was introduced in the early 1990’s so boats could stay at sea as long as the crew had food and water or until the freezers were filled, quite often up to 3 weeks. 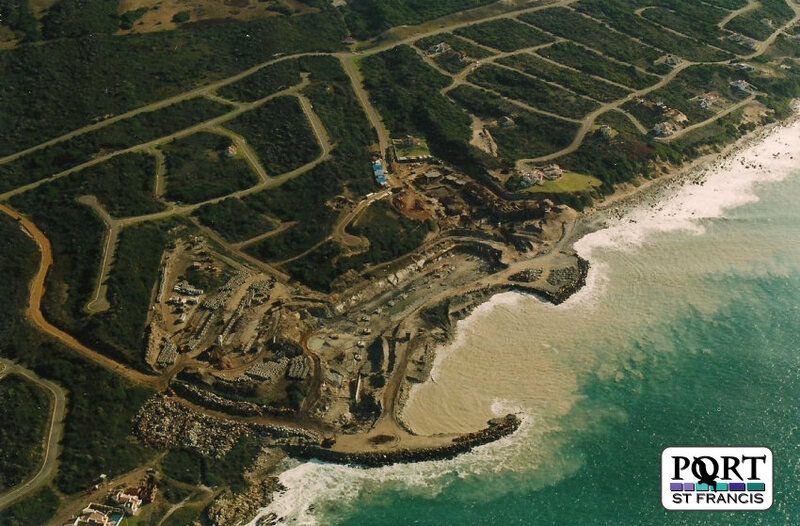 Although this was good for the industry, it was bad for the economy of St Francis Bay – the vessels were too big to work from the Kromme River, and soon the fleet left for the bigger harbour in Port Elizabeth, taking not only the fishermen and their disposable income away from St Francis Bay, but also other related industries and the revenue they create. The Port St Francis small craft harbour and marina provides a protected water area of 2.5 ha with 200 moorings for recreational and fishing craft. 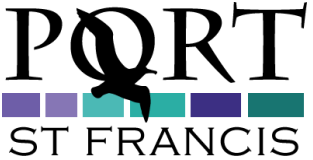 At the initial stages of the project A R Wijnberg Inc (who merged with PRDW in March 1997) worked with the developers, architects, contractors and other members of the professional team to optimise the layout of the marina. This included the EIA procedures to ensure acceptance of the development by the local community. 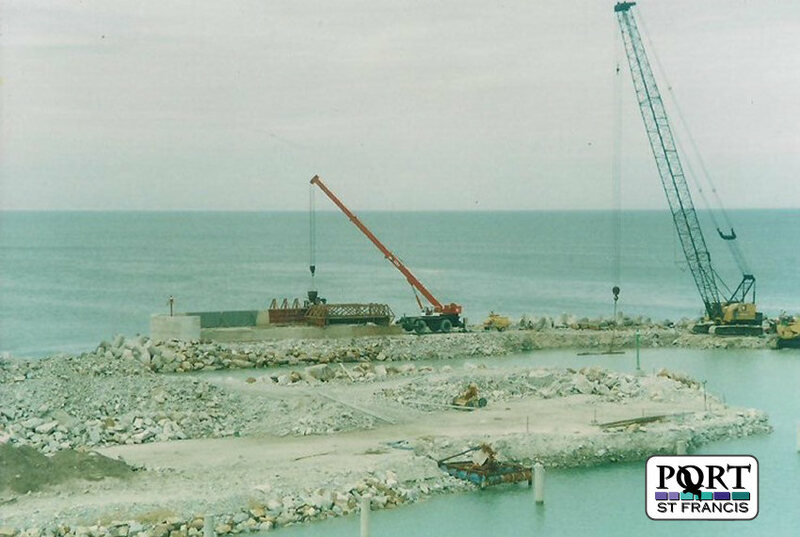 Rock excavated from the harbour basin was used very effectively for construction of the main and secondary breakwaters, and reclamation for the housing development adjoining the secondary breakwater. An innovative breakwater design, including a detailed physical model study, saw the first deployment of Core-Locs, an economical single layer armour unit developed in the USA. The main breakwater extends into a design depth of 8m, exposed to breaking waves with wave periods of up to 16s. 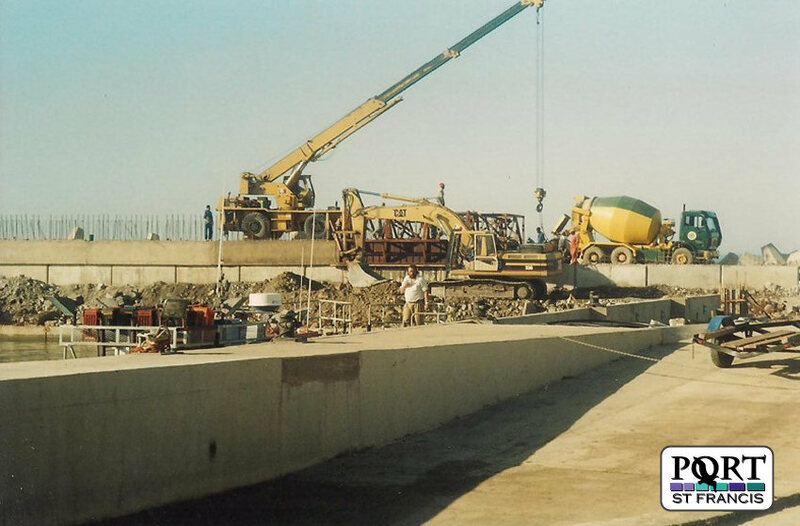 Other aspects of the design included a concrete crown wall for the main breakwater, walk-on moorings with reinforced concrete piles, a slip-way and quay walls. 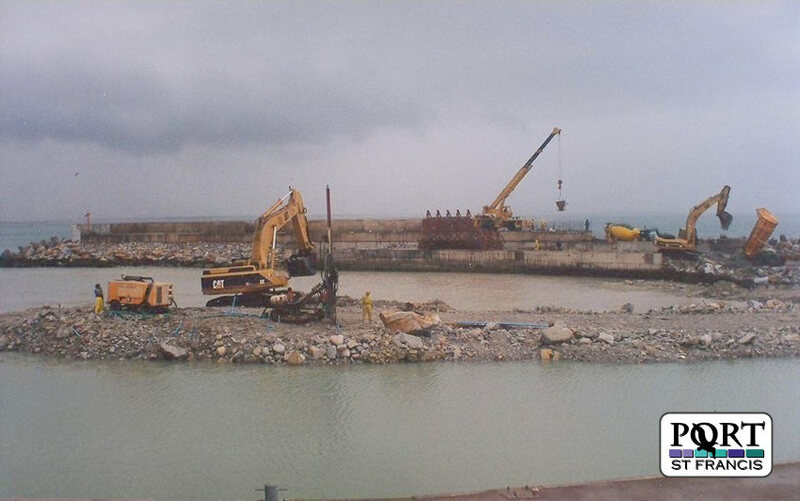 During construction of the harbour three near design storm conditions were experienced. This required emergency repairs and some remedial work to the incomplete structures, after the storm. The harbour was successfully completed in November 1997.